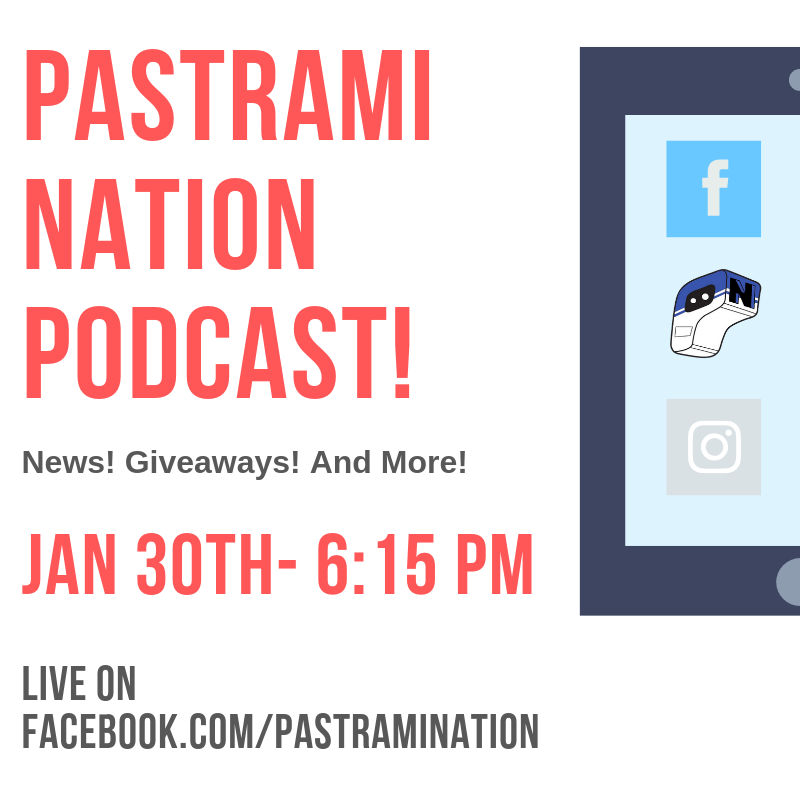 On January 30th, we will be having a new Pastrami Nation Podcast live on Facebook! Visit www.facebook.com/pastramination and comment with us LIVE! As always, we will be giving away some awesome pop culture prizes! Tags: Podcast Notification: Next Podcast is January 30th!